Class Glow Academy International is pleased to announce an interesting & exciting competition for students. At Class Glow, we provide an effective educational platform for students to encourage them to learn Science, Mathematics, and English in a fun, entertaining way. 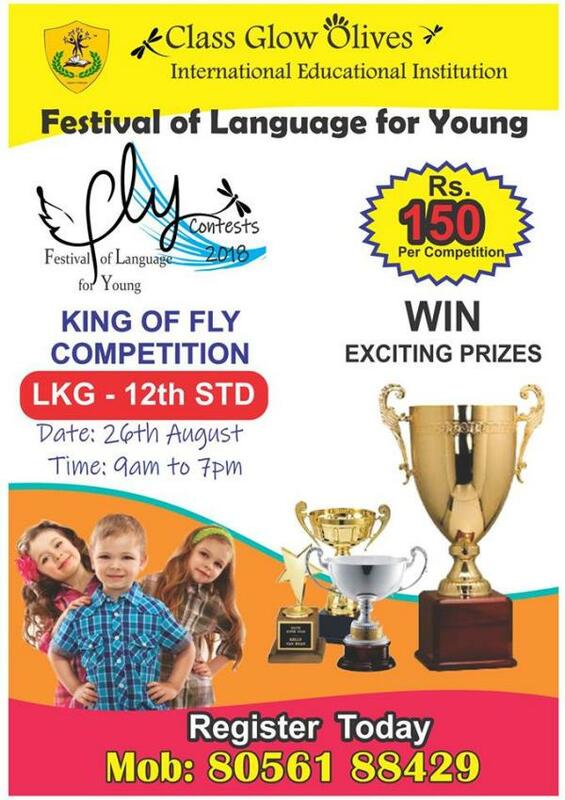 Class Glow has come up with unique concept of “Festival of Language for Young, 2018” and we invite students to unleash their talents this year through FLY Contests. taking place on 26th August, 2018. 1. The FLY Contests are divided into two Categories based on the AGE group. what will be the registration fees for the contest. How the contest works for kg students. Kindly provide much more details. Is it a kind of quiz or written contest? 10min or 30min contest?